Every Sunday, Making A Mark features one of the insanely talented artistic folk currently living up large, and gives them a little brag spot right here on IADW. This week it's a little bit of something different, in the form of online dynamic duo; artist Derek Fridolfs and Spanish colourist 'Judson8'! 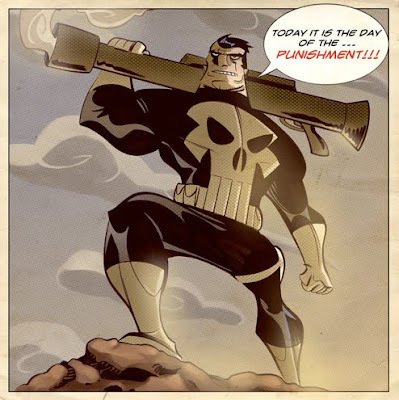 Derek is a longtime DC inker and penciller (working on Bruce Wayne: The Road Home Catwoman as we speak), yet when he takes to sketching, his strong sense of line takes on a great all ages look. 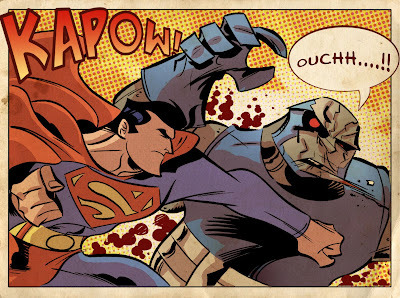 Add in Judson8's bold almost retro colours and you have a team-up that truly is the Brave and the Bold! 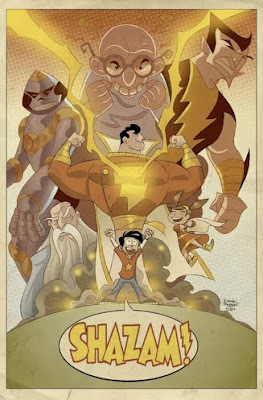 Click through for a few sweet examples, and one of the best Captain Marvel pieces you will ever see. Easily one of the coolest Captain Marvel pieces ever - Shazam! 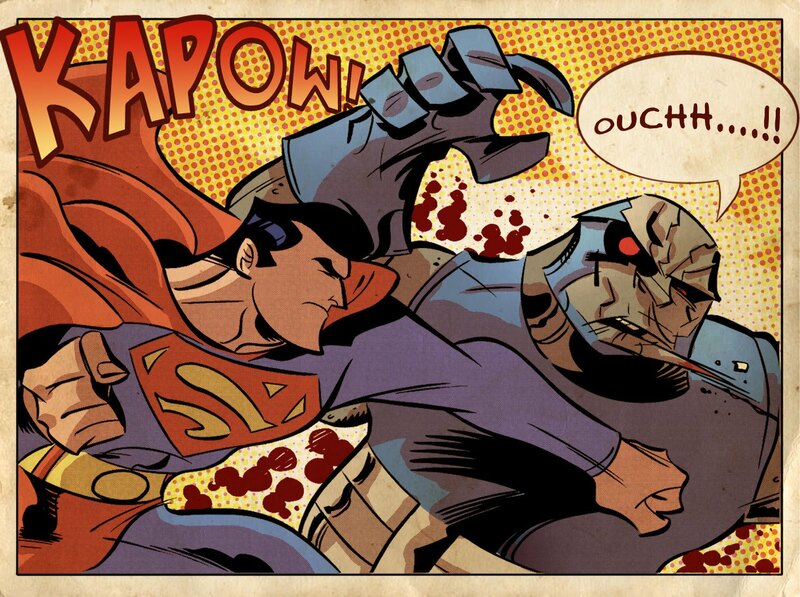 And Superman vs. Darkseid - now that's a punch! I think any of the big gun titles could benefit from having more all ages friendly art - especially when it's this attractive! If you're looking for more of a four colour artistic hit this weekend, be sure to check out the galleries of Derek Fridolfs and Judson8 - 'Nuff said!